The undisputed king of the flick-pass and a true Legend of Leichhardt, few playmakers in the modern game have greater claims to genius than Benji Marshall. The architect of the most memorable try from perhaps the Wests Tigers’ most memorable achievement, Marshall is simply more synonymous with Wests than any other player in history. Having returned to the Promised Land in 2018, slotting straight into his trusty number 6 jersey, Marshall has already delivered enough upon his return to remind the Tigers faithful why they’ve always loved him. After a blistering start to the 2018 NRL season and with their favourite son at the helm, the Tigers are well on their way to vying for the ultimate success for their loyal fanbase. 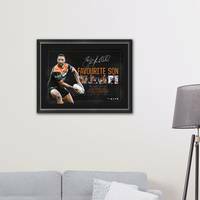 Official Memorabilia, in conjunction with the Wests Tigers and NRL, are proud to release ‘Favourite Son’. 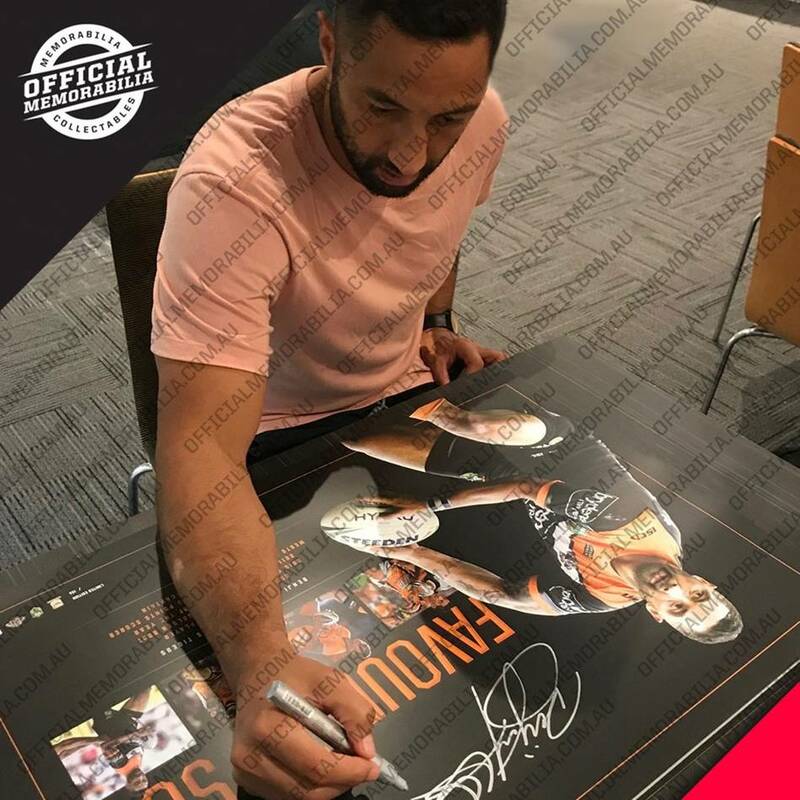 A beautifully presented piece that pays tribute to Benji Marshall’s decorated Wests career, ‘Favourite Son’ comes personally signed by Marshall and is officially licensed and endorsed by the NRL and RLPA. With just 106 editions available worldwide, ‘Favourite Son’ represents the first piece of officially licensed, independently authenticated Wests memorabilia in years… so secure yours now before stock runs out!